Pronounced "ver-sales," the Kentucky community of Versailles is one of the most popular places for horse enthusiasts in Woodford to settle. The region is well known for breeding exceptional thoroughbred and standardbred racing horses. Residents will find that Versailles offers easy access to Lexington and has varying landscapes from lush, open pastureland to wooded, secluded hilly regions particularly around the Kentucky River. The county seat of Woodford County, Versailles is located 13 miles west of downtown Lexington and is part of the greater Lexington metropolitan area. Buyers will find that there are many Versailles horse farms for sale available. Woodford County is one of Kentucky's more affluent counties, and investors will find that there are many luxury properties on the market. Learn more about your life with a horse farm in Versailles or browse the property listings below to find your fit! The vast majority of Versailles, KY horse farms for sale feature land that has prime grazing soils for horses. 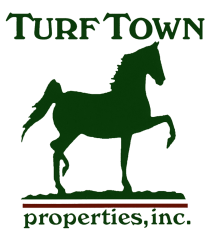 The great soil has been a draw for many major commercial racehorse breeders. 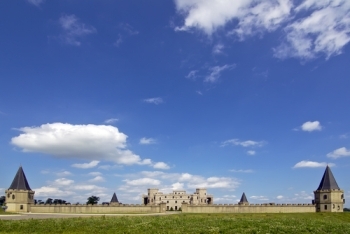 Versailles is well-known for its illustrious saddlebred horse industry, and many hobbyists and small-time horse keeping enthusiasts enjoy living in the area as well. When it comes to purchasing horse farms in Versailles, buyers will find that they have plenty of options. Picturesque multi-million dollar estates constitute some of the most expensive properties on the market. These are often situated on hundreds of acres of land, and the houses themselves offer thousands of square feet of living space and the finest finishes and designs. Each of these homes has their own unique sense of style. Some boast the tall pillars and white exteriors that were once popular in the Old South, while other houses have durable brick exteriors and handsome window shutters. Inside, these properties are as unique as their owners. Some boast luxurious living spaces, gourmet kitchens, and bathrooms with his-and-hers sinks and Jacuzzis®, while others offer home movie theatres and pools. As Versailles is much-loved by the horse farming community, buyers will find this small town offers plenty of properties that can be bought with a pre-existing barn. Barns range widely in size and style. 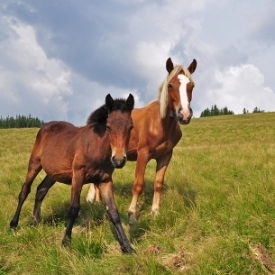 Depending on whether you're hoping to keep just a few horses, or you're planning on operating a professional stable, you'll have very different needs. Nonetheless, it is possible to find what you are looking for in Versailles. Even the most affordable horse farms for sale in Versailles are luxurious. Beginning around $500,000 dollars these properties are located on several acres and boast excellent horse facilities such as riding rings and paddocks. Versailles was founded in 1792 and was named after the palace of Versailles, in honor of the help of the French people during the American Revolution. Today, it's a buzzing center among horse enthusiasts and a charming historic town where residents know their neighbors. Down by the Kentucky River, there are great places to trail ride and hike. Versailles also has a great running and biking trail system, as well as several nice city parks. Even though Versailles is farther from the Horse Park than may be ideal, it is still a great place to live, work and play. And similar to Midway, Versailles offers a small-town lifestyle with nearby big city amenities.